The temps are dropping, the apples are falling and the pumpkins are ready for their close up! That means one thing, FLANNEL! 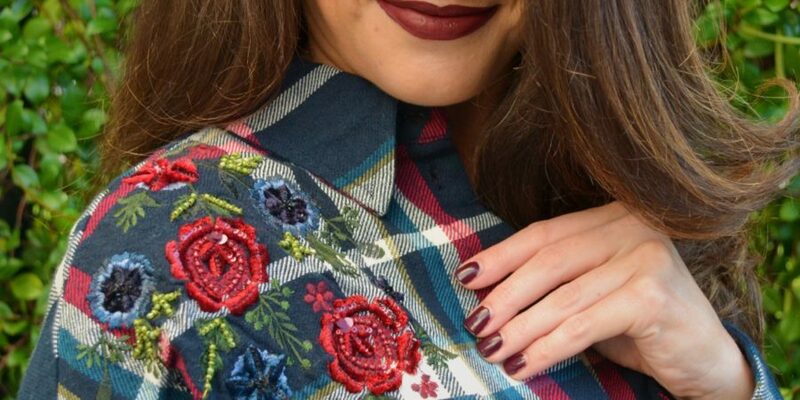 Ok, it means a lot of things because Fall is arguably the best season, but flannel everything is one of them. 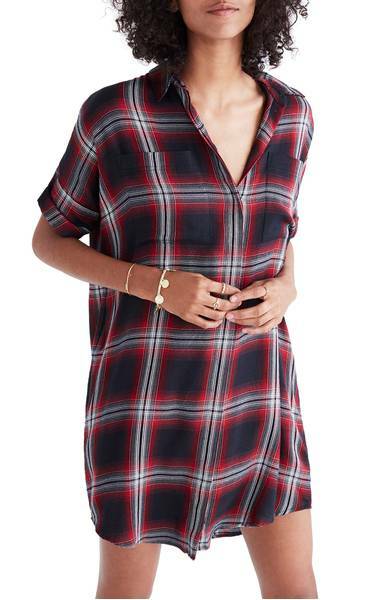 This time, it’s a flannel dress. 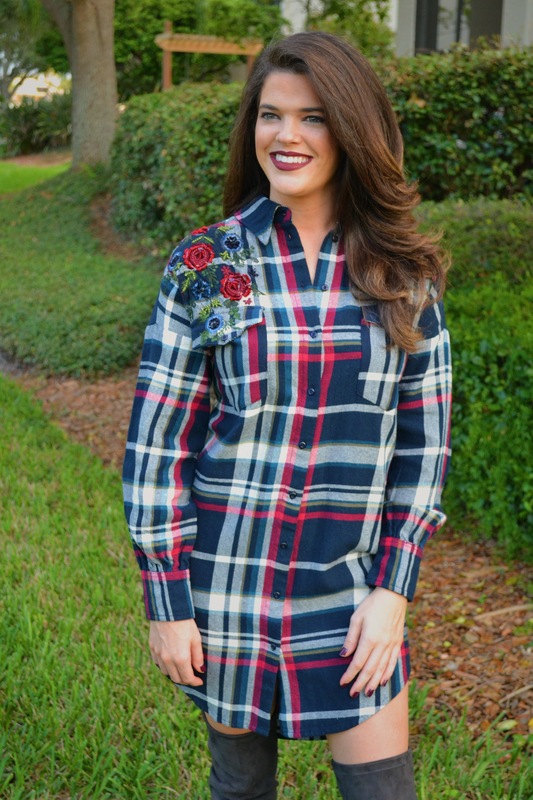 The quality of this dress really stands out because it’s actually flannel! Yay! 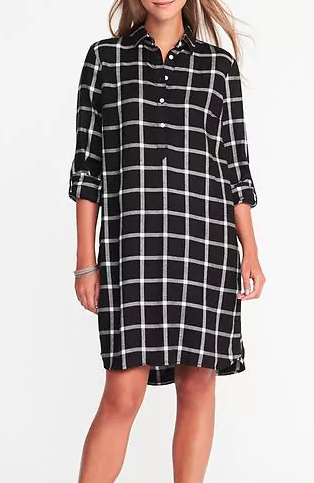 I know that sounds crazy but sometimes dresses like this are made with cheap fabric and you hardly get the benefit of the flannel style. 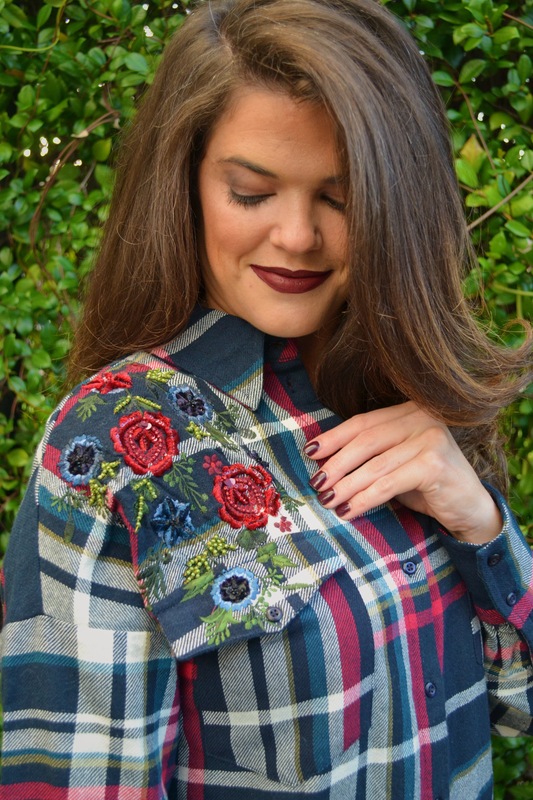 My favorite feature of this dress is the floral embellishment at the top. I love an androgynous style that has a hint of feminine flair, and the shoulders being embroidered and beaded gives it just that look! 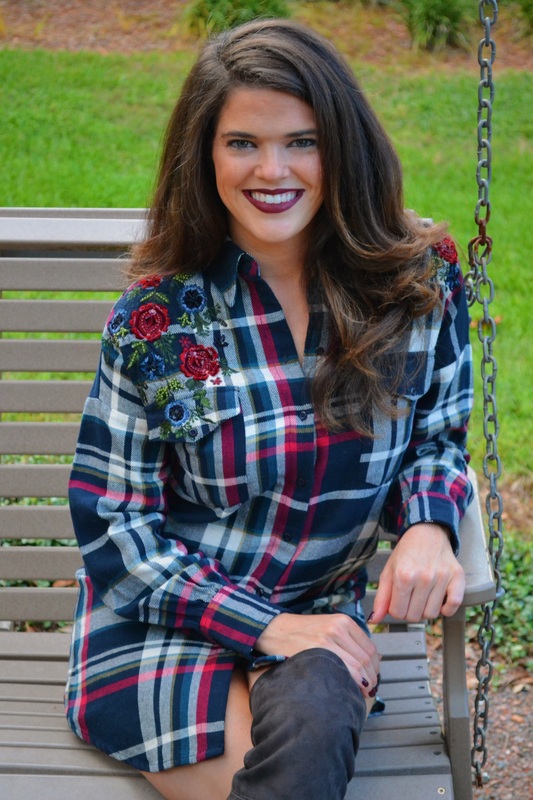 Dress it up with over the knee boots, or dress it down with simple riding boots—this dress is the perfect fall frock.